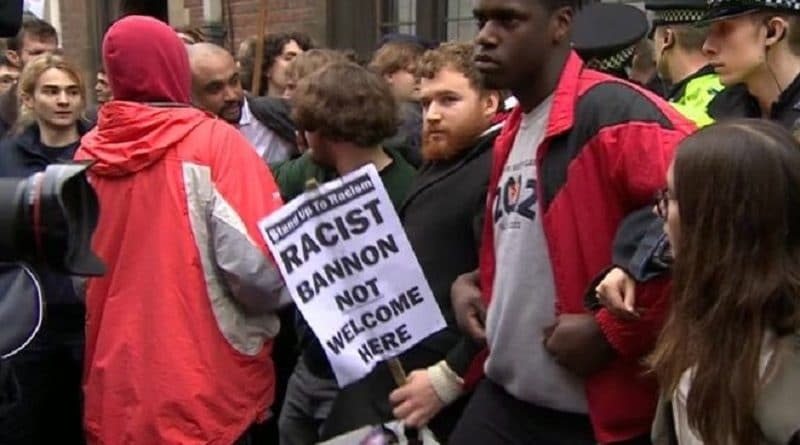 A visit by Donald Trump’s former adviser Steve Bannon to the Oxford Union has resulted in protests in the city. 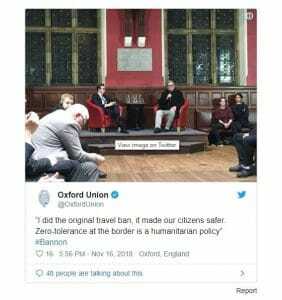 The former White House adviser backed the travel ban and spoke about extremism during his appearance at the 195-year-old debating society. 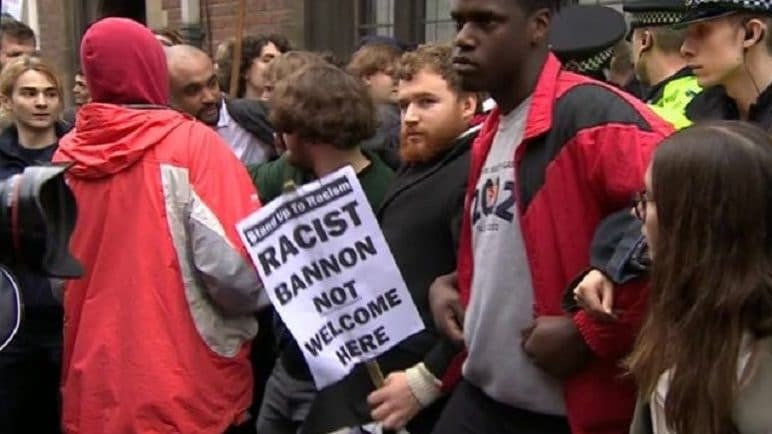 Oxford Students Stand Up To Racism has criticised the Union for “giving credibility to racism and fascism”. 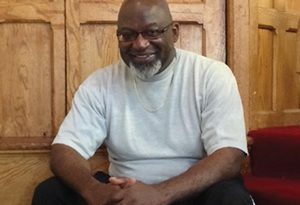 The Union president said it was a chance to “critically question” him. Mr Bannon was one of President Trump’s closest aides until he quit the White House last year. 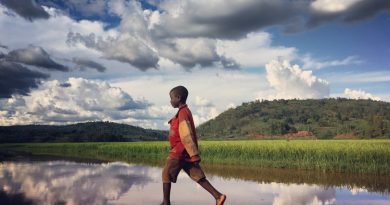 He took part in the News Xchange conference in Edinburgh on Wednesday, where a 56-year-old demonstrator was arrested and charged with threatening and abusive behaviour. First Minister Nicola Sturgeon pulled out of the conference over his “far-right views”. In a series of tweets by the Oxford Union during Mr Bannon’s appearance, he is quoted as saying the Ku Klux Klan should not have been allowed to march through Charlottesville. He criticises the Black Lives Matter movement and Antifa, and says the travel ban “made our citizens safer… zero-tolerance at the border is a humanitarian policy”. 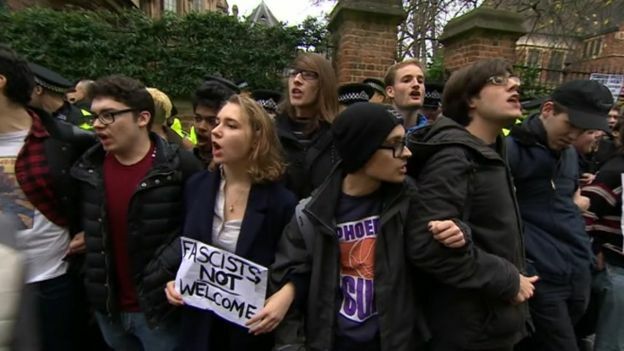 More than 100 people demonstrated in a protest organised by Oxford University and Oxford Brookes students. 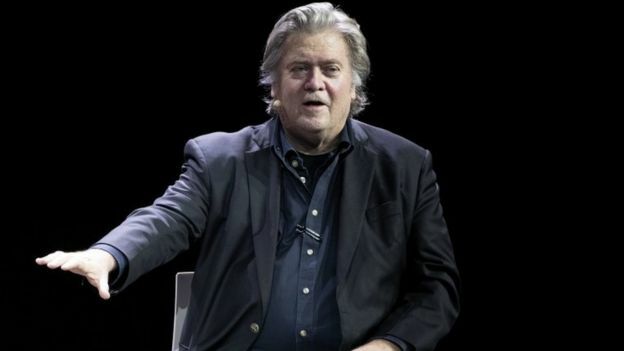 “hear from an individual who has been at the centre of the rise in right-wing populism, as well as to critically question and debate the ideas and rhetoric of Mr Bannon”. In September, Mr Bannon was disinvited from the New Yorker Festival after a backlash. Controversial-preacher slams ‘troubling outfits’ worn by women in Sydney church.